Although every food processing plant is unique, they all share a common challenge: How to make packaging line changeover as efficient as possible. Every minute the line is down because of a change in packaging size or materials, or just a label change, represents lost profitability. 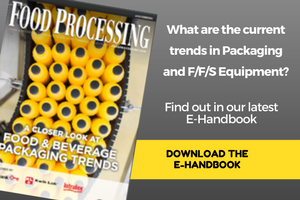 In today's market, changeover plays an increasingly important role for food processors, partly because of pressure from mass-market retailers to reduce the size and increase the frequency of shipments. Retailers are lowering costs by reducing their inventory levels, with a just-in-time approach to consumer demand. Therefore, "All their vendors need to have a better reaction time to their needs. It means shorter leads on orders, and it means more frequent, smaller orders," says Nils Gustafson, vice president of operations with Ubiquity Brands at the company's Lincoln Snacks (www.lincolnsnacks.com) operation in Lincoln, Neb. Retailers "don't want to carry 10 days of inventory at their distribution center — they want to carry less than two days. So either I carry that inventory, which I don't want to do, or I get more efficient at changing over," says Gustafson. "The best way I can keep my carrying costs down is to have more changeovers and get much, much better at them." Lincoln Snacks processes and packages the snacks Screaming Yellow Zonkers, Poppycock and Fiddle Faddle. Improving changeover efficiency starts with defining when changeover starts and when it concludes. "I break changeover into the three 'ups': clean-up, set-up and start-up," says John Henry, CPP, president of Changeover.com (www.changeover.com), a changeover consulting firm in Fajardo, Puerto Rico. Clean-up includes removing residual product, left over from the previous production run, from the equipment. It may require disassembling, washing and/or sterilizing the machinery. Set-up, which is more synonymous with changeover, refers to the physical adjustment or changing of parts on a machine to run the next product or package. Start-up is the time it takes to restart the equipment and get it back to full production speed. KHS's Innoket roll-fed labeler uses a linear design for simple handling and quick changeover. If equipment adjustments are not performed to meet the specific demands of the new production run, addressing variables such as package size, container, label and/or closure, the start-up phase can extend to hours. In the worst-case scenario, the line does not achieve full production speed before it's time to change the line over again. Equipment modifications can make a big difference in reducing the start-up period. Lincoln Snacks recently modified the horizontal form/fill/seal machine it uses to fill stand-up pouches, gaining a very satisfying reduction in start-up time. The modifications focused on improving control over pouch forming and filling. "We used to fight the changeover on that line" because it was difficult to control the film as it fed through the machine, Gustafson recalls. "The mechanic would spend a significant number of hours lining out that machine just right. But with the forming and bag-control improvements, our ramp-up time was reduced more than 40 percent. It's a night-and-day difference. Now the operators basically load in the film and push a button." Typically, plant mangers have an idea of where changeover times could be improved. But putting an improvement plan into action can be daunting. Henry suggests a three-step approach: eliminate, externalize and simplify. He explains that the first step is to eliminate any processes that are unnecessary or that produce a layer of complexity without adding value. A processor could eliminate a labeler changeover when switching case sizes by changing from "relative" positioning of the label — in the center of the case, for example — to "absolute" positioning, in which the label is applied to the same corner of every case. The second step, externalization, refers to taking as many changeover tasks as possible off-line. For example, rather than powering down the line, then taking 10 minutes to round up the appropriate change parts, tools, supplies and packaging materials, the operator or mechanic should gather and stage all items needed for changeover while the line is finishing up the previous production run. The third step, simplification, focuses on making changeover adjustments as quick and easy as possible. In this step, the food processor reduces reliance on tools to make adjustments. Another way to simplify is take some of the thinking out of changeover tasks. With this in mind, some processors use color-coded change parts and attachments. "With color coding, it's easier to put the right part in the right place," says Alok Tiku, a research analyst with Frost & Sullivan (www.frost.com) in San Antonio, Texas, who specializes in food processing equipment. In addition, equipment can be purchased with or modified to include quick-change components such as hand knobs and clamps, or with electronic aids such as digital indicators and programmable controllers. Turning a knob or entering a keystroke combination is much simpler and faster than replacing a nut and bolt. Another way to simplify is to reduce the number of adjustments required. Change Parts Inc. (www.changeparts.com), Ludington, Mich., designed its Pathfinder single-point guide rail adjustment system to enable changeover of guide rails with the twist of just one hand knob. To simplify changeover of its case packer, the Welch Foods Inc. (www.welchs.com) plant in Kennewick, Wash., modified the packer so the working area could be expanded to let workers remove change parts more easily, either manually or using an overhead crane. As a result of the modification, changeover is "more convenient. It's not too complicated or too congested to pull the parts out," says Marty Gardner, Welch Foods' director of plant operations-West Coast. Recognizing the need for fast changeover, and the role of simplicity in achieving it, packaging equipment makers are engineering automated changeover features into their products to reduce the number of time-consuming manual adjustments. As an example, the Rovema VVI-200 vertical form/fill/seal machine, from Rovema Packaging USA (www.rovema.com), Lawrenceville, Ga., provides automatic size changeover with the push of a button. The machine's forming collar adjusts automatically, so a forming-set change is not needed when changing between package sizes. For labeling applications, the KHS Innoket RFL roll-fed labeler, from KHS AG (www.khs-ag.com), Dortmund, Germany, is designed as a linear system with few change parts. Thanks to the linear design, the labeler does not incorporate infeed stars, discharge stars, guide curves and turntables. The result is uncomplicated handling and quick changeover. Servo drives, which automatically adjust items such as the carton magazine and side rails, can save an enormous amount of time during changeovers. Servo technology also is playing an important role in changeover automation. A servo is a device that monitors and automatically adjusts a machine for optimal performance. The CH7.5-250C horizontal cartoner from Z Automation Co. (www.zautomation.com) (ZAC), Arlington Heights, Ill., incorporates seven synchronized servo drives. The cartoner's servos automatically adjust items such as guide rail and magazine positioning when it's time to change carton sizes. Further, the cartoner can be fine-tuned at full speed, which helps minimize the start-up period. According to Zoran Momich, ZAC's president, changing over this horizontal cartoner takes five to 15 minutes, vs. 1.5 to 2.5 hours for a traditional changeover of this magnitude. Automatic adjustments offer valuable time savings during changeover. On one of ZAC's vertical cartoners, the model CV15-100C, items such as the carton magazine, rotary feeder, side rails, carton track and carton closing height are all automatically adjusted. The benefits of automatic adjustments "include the flexibility to run multiple products and a large range of carton sizes on a single machine with minimal downtime because of tool-less, fast, repeatable changeovers," Momich says. Programmable controls also play a key role in speeding up changeover. For example, programmable controls built into vacuum/shrink packaging equipment from Reiser (www.reiser.com), Canton, Mass., make it possible to switch between shrink and laminate bags with no set-up changes. The Reiser Supervac Vacuum Chamber Belt-fed machine is configured inline with the company's Supervac AT10 automatic shrink tank. To switch over from shrink bags to laminate bags, the operator pushes one button on the belt machine to select the stored program for laminate bags and switch off the dipping mechanism at the shrink tank. In the real world, automation is just one part of the changeover picture. Personnel also are enormously important. At Welch Foods' Kennewick operation, training for operators, mechanics and maintenance specialists includes sessions with equipment suppliers as well as in-house experts. The Kennewick plant packages a variety of juices, concentrates and spreads in glass, steel, aluminum, spiral-wound composite, PET and polypropylene containers ranging in size from 10 to 64 oz. To keep up with demand for the many variations in package type/size and product type/flavor, the plant's personnel have become changeover experts. "It's typical for us to go through multiple flavor changeovers per day, and often multiple changeovers per shift," says Gardner. "That's true across most of our lines." Automated adjustments to items like guide rails help equipment operators minimize changeover time. Rail adjustments for the various package sizes are all electronically pre-set; the operator simply dials in the new package size, and the rails automatically adjust. "We no longer have to start each new package size with trial and error," Gardner says. This example illustrates Welch Foods' growing emphasis on bottle handling equipment, which is linked to the company's increased use of lightweight plastic containers. The goal is to avoid excessive back pressure on plastic bottles during conveyance and accumulation, because the pressure can damage the bottles. "Historically, what has dominated the changeover discussion has been unit operations, where you fill, cap, label, package and palletize," Gardner says. "But as the package itself becomes lighter, it puts a lot more emphasis on the bottle handling and conveyance that transfers the container from unit operation to unit operation. Changeover has evolved in the industry, and here as well, to be just as critical for conveyance as for unit operations." With the development of lighter-weight containers, each of Welch's lines has evolved into an integrated system. Unit operations no longer work independently. Changing over the synchronized lines requires adjustments at many points within unit operations and conveyance/accumulation, and it demands tremendous coordination of personnel. In fact, the changeover tableau is not unlike an Indy 500 pit stop. Some in the beverage industry have actually taken their mechanics and operators to race-team pit crews to evaluate and improve changeover techniques. Gardner reflects, "It's a great idea. If we had a race track nearby, I would have done it already." Consumer demand for new package sizes and structures can easily lead to a proliferation of SKUs. Athough the availability of 20 different sizes and multipack configurations of a product may delight consumers, plant operations is typically less than enthusiastic about the frequency and complexity of changeovers required to produce so many variations. The changeover downtime generated by the more-SKUs marketing strategy can cut, sometimes severely, into production efficiency. When that happens, the overall profitability of the company suffers. John Henry of Changeover.com advises marketers: "When you first come up with an idea for a new product, talk to the people on the floor in operations who know the machinery and its capabilities. See what the implications of that new product will be." Failing to do so can lead not only to lengthy changeovers but also to packaging-supplies waste. Henry recalls a rum distiller whose marketing department designed an elegant new package, an inverse-taper bottle, with the intention of running the package on existing filling lines. The marketing department didn't discuss the new package with operations before creating molds and authorizing bottle production. The first shipment of bottles arrived in the filling plant, but when operators tried to run them, the top-heavy bottles toppled over on the conveyor. The bottles were incompatible with the filling line, and the distiller had to trash all the inverse-taper bottles. Ultimately, the company redesigned the new bottle to include a ring around the base so it could run without modifying the filling line.